This study aims to identify the factors that influence decision making on souvenirs by using the Theory of Planned Behavior. The approach used in the research method is quantitative approach, and the sample determination used convenience sampling type employing 150 souvenir buyers as research samples in Palangka Raya, Indonesia. The relationship between the variables proposed in the study is tested empirically using Partial Least Square (PLS). This research reflects the consumer's picture of the attitude, intentions, and buying behavior of souvenirs. The results showed that the attitude toward authenticity and attitude toward aesthetics, except attitude toward care and carriage, had a significant effect on the purchasing intention which then will be realized in a real buying behavior. The stronger the intention of someone to buy souvenirs, the greater the souvenir buying behavior will be shown. The results of this study are expected to provide valuable insights for marketers and the tourism industry in formulating and implementing strategies to encourage consumers to purchase souvenirs. Asplet, M., & Cooper, M. (2000). Cultural designs in New Zealand souvenir clothing: the question of authenticity. Tourism Management, 21(3), 307-312. Budiharseno, R. S. (2017). Factors affecting online buying behavior on g-market site among international students in Busan: A qualitative research. Arthatama: Journal of Business Management and Accounting, 1(1), 1-5. Cai, Y., & Shannon, R. (2012). Personal values and mall shopping behavior: The mediating role of attitude and intention among Chinese and Thai consumers. Australasian Marketing Journal (AMJ), 20(1), 37-47. Cho, Y., & Lee, Y. (2013). Analysis of Factors Affecting Purchase Intentions for Fashion Cultural Products. Journal of the Korean Society of Clothing and Textiles, 37(1), 101-112. Cohen, E. (1993). The study of touristic images of native people: Mitigating the stereotype of a stereotype, In D. Pearce, & R. Butler (Eds), Tourism research: Critiques and challenges, pp. 36-69. London: Routledge. Deng, X. (2015). Understanding Chinese consumers’ ethical purchasing decision-making process: A combination of qualitative and quantitative study. Geoforum, 67, 204-213. Giampietri, E., Verneau, F., Del Giudice, T., Carfora, V., & Finco, A. (2018). A Theory of Planned behaviour perspective for investigating the role of trust in consumer purchasing decision related to short food supply chains. Food Quality and Preference, 64, 160-166. Gordon, B. (1986). The souvenir: Messenger of the extraordinary. The Journal of Popular Culture, 20(3), 135-146. Hair, J. F., Gabriel, M., & Patel, V. (2014). AMOS covariance-based structural equation modeling (CB-SEM): Guidelines on its application as a marketing research tool. Brazilian Journal of Marketing, 13(2). Hu, B., & Yu, H. (2007). Segmentation by craft selection criteria and shopping involvement. Tourism Management, 28(4), 1079-1092. Kim, S., & Littrell, M. A. (1999). Predicting souvenir purchase intentions. Journal of Travel Research, 38(2), 153-162. Kim, S., & Littrell, M. A. (2001). Souvenir buying intentions for self versus others. Annals of tourism research, 28(3), 638-657. Klamer, A. (2003). Social, cultural and economic values of cultural goods. Cultural Economics, 3(3), 17-39. Kothe, E. J., & Mullan, B. A. (2014). A randomised controlled trial of a theory of planned behaviour to increase fruit and vegetable consumption. Fresh Facts. Appetite, 78, 68-75. Lee, Y., Kim, S., Seock, Y. K., & Cho, Y. (2009). Tourists' attitudes towards textiles and apparel-related cultural products: A cross-cultural marketing study. Tourism Management, 30(5), 724-732. Lehto, X. Y., Cai, L. A., O’Leary, J. T., & Huan, T. C. (2004). Tourist shopping preferences and expenditure behaviours: The case of the Taiwanese outbound market. Journal of Vacation Marketing, 10(4), 320-332. Littrell, M. A. (1996). Shopping experiences and marketing of culture to tourists. Tourism and culture: Image, identity and marketing, 107-20. Ma, J., Hipel, K. W., Hanson, M. L., Cai, X., & Liu, Y. (2018). An analysis of influencing factors on municipal solid waste source-separated collection behavior in Guilin, China by Using the Theory of Planned Behavior. Sustainable cities and society, 37, 336-343. Mogindol, S. H., & Bagul, A. H. B. B. P. (2016). Tourists' Perceptions about an Appealing Handicraft. Tourism, Leisure and Global Change, 1(1), 10-24. Nugroho, A. H., Bakar, A., & Ali, A. (2017). Analysis of technology acceptance model: Case study of Traveloka. Arthatama: Journal of Business Management and Accounting, 1(1). Pappas, N. (2016). Marketing strategies, perceived risks, and consumer trust in online buying behaviour. Journal of Retailing and Consumer Services, 29, 92-103. Pugh, C., & Wood, E. H. (2004). The strategic use of events within local government: A study of London Borough Councils. Event Management, 9(1-2), 61-71. Qlapa. (2015). Potensi Industri Kerajinan Tangan Indonesia (Potential of Indonesian Handicraft Industry). Retrieved from https://qlapa.com/blog/potensi-industri-kerajinan-tangan-indonesia. Sanyal, S. N., Datta, S. K., & Banerjee, A. K. (2014). Attitude of Indian consumers towards luxury brand purchase: an application of ‘attitude scale to luxury items’. 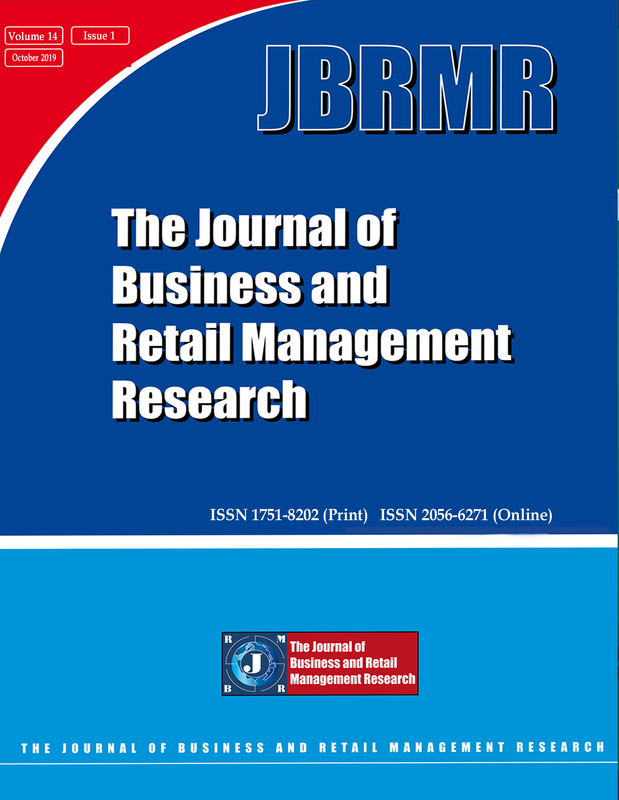 International Journal of Indian Culture and Business Management 5, 9(3), 316-339. Stancu, V., Haugaard, P., & Lähteenmäki, L. (2016). Determinants of consumer food waste behaviour: Two routes to food waste. Appetite, 96, 7-17. Wahyuni, S., & Ginting, M. (2017). The impact of product quality, price and distribution on purchasing decision on the Astra motor products in Jakarta. Arthatama: Journal of Business Management and Accounting, 1(1), 18. Wilkins, H. (2011). Souvenirs: What and why we buy. Journal of Travel Research, 50(3), 239-247. Yu, H., & Littrell, M. A. (2003). Product and process orientations to tourism shopping. Journal of Travel Research, 42(2), 140-150.